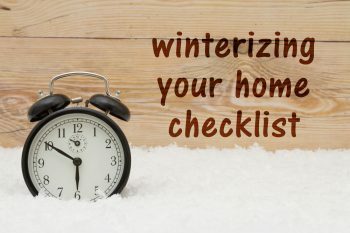 Every homeowner needs to plan out and complete needed home repairs before winter hits, and now is the perfect time to do it. But how do you know what should be done? It’s easy! 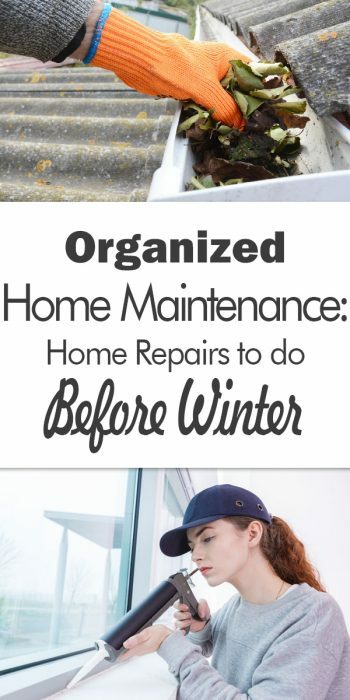 Stick around and we’ll show you exactly those home repairs that need to be done before winter—every year. A big home repair to do before winter is to seal everything up tight. A lot of homeowners have no idea the amount of cold air that seeps in through gaps around windows and doors alone. Even if it seems like a little, it’s cutting into your home’s ability to help you stay warm. Take the time to walk around your home and notice drafty spots. One way to do this is to use a lighter or a match. Hold the flame near suspected gaps and see if the flame flickers or goes out. If so, you’ve got a leak. As you check your entire home, also watch for missing caulk around the entry spots for your electrical, cable, phone and gas lines. 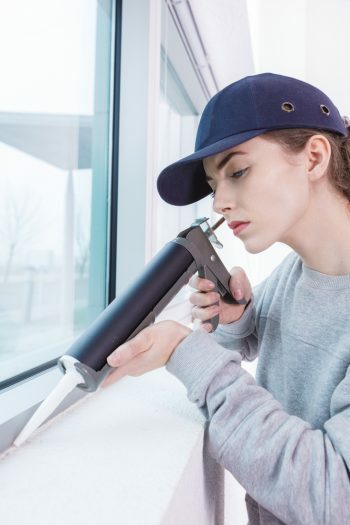 Repair any loose or cracked caulking you find. 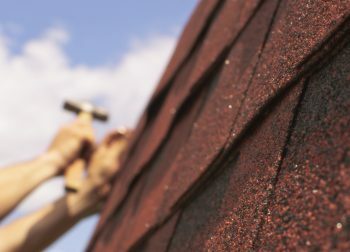 Our checklist of home repairs before winter always includes a check of the roof. You should take the time to get up on the roof and thoroughly inspect it from top to bottom. Check all the shingles for any curling, cracks, or other damage. Make sure the flashing is in good shape. Stay on top of any little problems you spot so that they don’t become huge issues later! While you’re on the roof, you need to pay attention to the rain gutters. 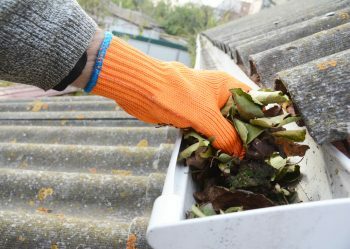 Winter is not the time for the gutters to be full of leaves, dirt and other debris. Make sure they are completely clear so that melting snow will flow freely. Cover up outside water faucets–especially those attached to the house–so they don’t freeze and cause problems with water pipes. You can purchase inexpensive faucet covers that will keep them protected through the cold weather. It’s definitely worth the money! 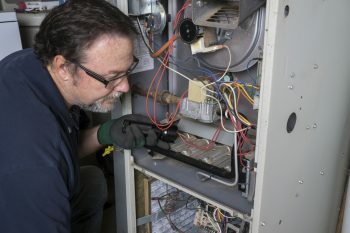 Add your furnace to the home repairs before winter checklist. At the least, change to a fresh filter before you use it for the first time. You should also arrange for a certified technician to come and do a yearly tune-up. This can help save you from dealing with bigger problems just when you don’t want them. Check over all your home’s smoke and carbon monoxide detectors to be sure they’re functioning properly and have fresh batteries. Stock up on ice melt if you live in an area that is affected by snow and ice storms. It’s also a good idea to review family safety plans in case of an emergency. Once you complete your home repairs before winter hits, you can rest easy knowing you’ve done your job to keep yourself and your family safe for the winter.